We can all feel it; the weather is slowly beginning to change as we opt for warmer clothes to ward against that chilly breeze in the air. This can only mean one thing – fall is just around the corner! And with this time of year comes a celebration – and lifestyle – near and dear to our heart. September 8 to 15 marks the ninth annual Organic Week, a national celebration of organic food, products and, of course, farming. Many across the country are taking part in food tours, workshops, recipe contests and much more. In honour of this, we’ve developed recipes featuring all-organic ingredients to help you celebrate Organic Week at home. These recipes include only five ingredients and are great for lunch, dinner or even snacks! Click on the links below for the full recipes and videos for how to make each one. The five ingredients: sesame seeds, tofu, sesame oil, tamari and white miso paste, yum! The five ingredients: sweet potato, turmeric, kale, black beans and lemon – do we need to say more? 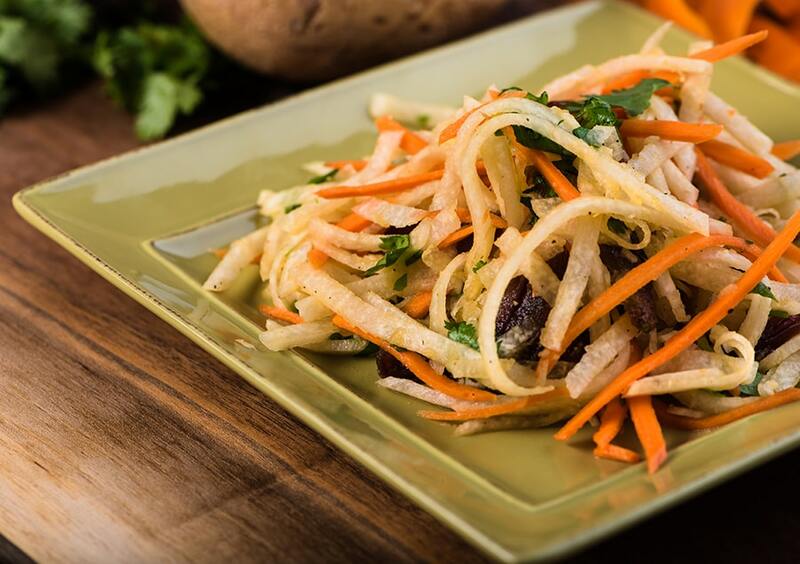 The five ingredients: jicama, carrots, medjool dates, fresh cilantro, rice vinegar. Something new for the fall! Stop by your local CHFA Member Store to pick up all the ingredients for these tasty recipes. The reasons for going organic are plenty. While shopping, remember to look for the “Canada Organic” logo which is your assurance that you are getting quality certified organic foods. After whipping these up, join the conversation online @OrganicWeek and share your treats using #ChooseCanadaOrganic. Enjoy!